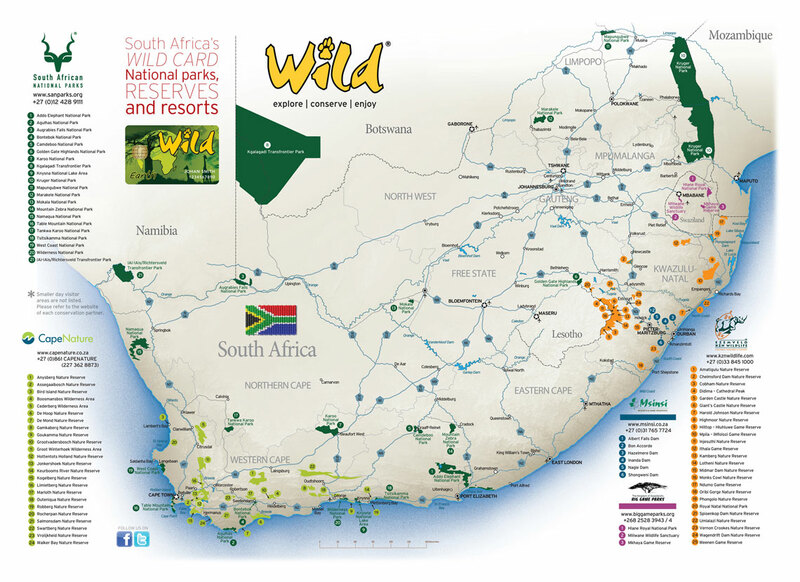 The Wild Card provides one year’s unlimited access to more than 80 parks and reserves in South Africa and Swaziland. You pay no entrance fees to enjoy wildlife and unspoilt natural areas. Our parks network offers wildlife, scenic beauty and adventures such as hiking, trail running, mountain biking, horse-riding, kayaking, diving, fishing and more.